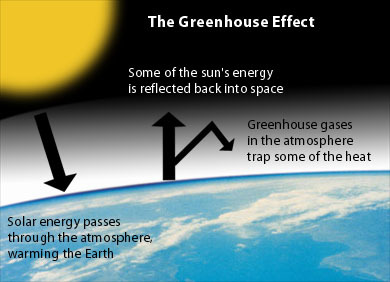 Global Warming: Does CO2 Heat The Atmosphere? No …. A guest post on Watts Up What With That by : Tom Vonk (Tom is a physicist and long time poster at many climate blogs. …you will be millionaire . Even Internet sites that are said to have a good scientific level like “Science of doom” publish statements similar to those quoted above . These statements are all wrong yet happen so often that I submitted this guest post to Anthony to clear this issue once for all. There are 3 concepts that we will introduce below and that are necessary to the understanding . This concept plays a central part so some words of definition . First what LTE is not . LTE is not Thermodynamic Equilibrium (TE) , it is a much weaker assumption . LTE requires only that the equilibrium exists in some neighborhood of every point . For example the temperature may vary with time and space within a volume so that this volume is not in a Thermodynamic Equilibrium . However if there is an equilibrium within every small subvolume of this volume , we will have LTE . Intuitively the notion of LTE is linked to the speed with which the particles move and to their density . If the particle stays long enough in a small volume to interact with other particles in this small volume , for example by collisions , then the particle will equilibrate with others . If it doesn’t stay long enough then it can’t equilibrate with others and there is no LTE . There are 2 reasons why the importance of LTE is paramount . First is that a temperature cannot be defined for a volume which is not in LTE . That is easy to understand . The temperature is an average energy of a small volume in equilibrium . Since there is no equilibrium in any small volume if we have not LTE , the temperature cannot be defined in this case. Second is that the energy distribution in a volume in LTE follows known laws and can be computed . Kinetic energy is present in several forms . A monoatomic gas has only the translational kinetic energy , the well known ½.m.V² . A polyatomic gas can also vibrate and rotate and therefore has in addition to the translational kinetic energy also the vibrational and the rotational kinetic energy . When we want to specify the total kinetic energy of a molecule , we need to account for all 3 forms of it . As we have seen that the temperature is an average energy ,and that it is defined only under LTE conditions , it is possible to link the average kinetic energy <E> to the temperature . For instance in a monoatomic gas like Helium we have <E>= 3/2.k.T . The factor 3/2 comes because there are 3 translational degrees of freedom (3 space dimensions) and it can be reformulated by saying that the kinetic energy per translational degree of freedom is ½.k.T . From there can be derived ideal gas laws , specific heat capacities and much more . For polyatomic molecules exhibiting vibration and rotation the calculations are more complicated . The important point in this statistical law is that if we add some energy to a great number of molecules , this energy will be shared equally among their translational , rotational and vibrational degrees of freedom . Everything that happens in the interaction between a molecule and the infrared radiation is governed by quantum mechanics . Therefore the processes cannot be understood without at least the basics of the QM theory . The most important point is that only the vibration and rotation modes of a molecule can interact with the infrared radiation . In addition this interaction will take place only if the molecule presents a non zero dipolar momentum . As a non zero dipolar momentum implies some asymmetry in the distribution of the electrical charges , it is specially important in non symmetric molecules . For instance the nitrogen N-N molecule is symmetrical and has no permanent dipolar momentum . O=C=O is also symmetrical and has no permanent dipolar momentum . C=O is non symmetrical and has a permanent dipolar momentum . However to interact with IR it is not necessary that the dipolar momentum be permanent . While O=C=O has no permanent dipolar momentum , it has vibrational modes where an asymmetry appears and it is those modes that will absorb and emit IR . Also nitrogen N-N colliding with another molecule will be deformed and acquire a transient dipolar momentum which will allow it to absorb and emit IR . In the picture left you see the 4 possible vibration modes of CO2 . The first one is symmetrical and therefore displays no dipolar momentum and doesn’t interact with IR . The second and the third look similar and have a dipolar momentum . It is these both that represent the famous 15µ band . The fourth is highly asymmetrical and also has a dipolar momentum . What does interaction between a vibration mode and IR mean ? The vibrational energies are quantified , that means that they can only take some discrete values . 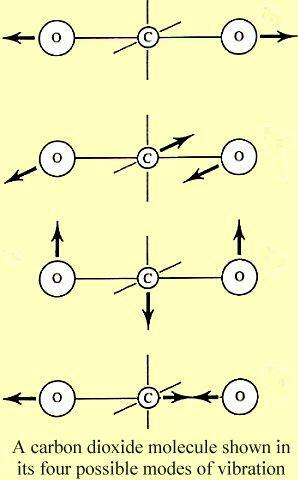 In the picture above is shown what happens when a molecule meets a photon whose energy (h.ν or ђ.ω) is exactly equal to the difference between 2 energy levels E2-E1 . The molecule absorbs the photon and “jumps up” from E1 to E2 . Of course the opposite process exists too – a molecule in the energy level E2 can “jump down” from E2 to E1 and emit a photon of energy E2-E1 . But that is not everything that happens . What also happens are collisions and during collisions all following processes are possible . Translation-translation interaction . This is your usual billiard ball collision . Translation-vibration interaction . Here energy is exchanged between the vibration modes and the translation modes . Translation-rotation interaction . Here energy is is exchanged between the rotation modes and the translation modes . Rotation-vibration interaction … etc . In the matter that concerns us here , namely a mixture of CO2 and N2 under infrared radiation only 2 processes are important : translation-translation and translation-vibration . We will therefore neglect all other processes without loosing generality . The translation-translation process (sphere collision) has been well understood since more than 100 years . It can be studied by semi-classical statistical mechanics and the result is that the velocities of molecules (translational kinetic energy) within a volume of gas in equilibrium are distributed according to the Maxwell-Boltzmann distribution . As this distribution is invariant for a constant temperature , there are no net energy transfers and we do not need to further analyze this process . This reads “a vibrationally excited CO2 molecule CO2* collides with an N2 molecule and relaxes to a lower vibrational energy state CO2 while the N2 molecule increases its velocity to N2⁺ “. We use a different symbol * and ⁺ for the excited states to differentiate the energy modes – vibrational (*) for CO2 and translational (⁺) for N2 . In other words , there is transfer between vibrational and translational degrees of freedom in the process (2) . This process in non equilibrium conditions is sometimes called thermalization . The microscopical process (2) is described by time symmetrical equations . All mechanical and electromagnetical interactions are governed by equations invariant under time reversal . This is not true for electroweak interactions but they play no role in the process (2) . Again in simple words , it means that if the process (2) happens then the time symmetrical process , namely CO2 + N2⁺ → CO2* + N2 , happens too . Indeed this time reversed process where fast (e.g hot) N2 molecules slow down and excite vibrationally CO2 molecules is what makes an N2/CO2 laser work. Therefore the right way to write the process (2) is the following . As we have seen that CO2 cannot transfer energy to N2 through the translation-translation process either , there is no net energy transfer (e.g “heating”) from CO2 to N2 what proves our statement . This has an interesting corollary for the process (1) , IR absorption by CO2 molecules . We know that in equilibrium the distribution of the vibrational quantum states (e.g how many molecules are in a state with energy Ei) is invariant and depends only on temperature . For example only about 5 % of CO2 molecules are in a vibrationally excited state at room temperatures , 95 % are in the ground state . Where the use of the double arrow shows that the absorption process (→) happens at the same time as the emission process (←) . Because the number of excited molecules in a small volume in LTE must stay constant , follows that both processes emission/absorption must balance . In other words CO2 which absorbs strongly the 15µ IR , will emit strongly almost exactly as much 15 µ radiation as it absorbs . This is independent of the CO2 concentrations and of the intensity of IR radiation . These observations demonstrate as expected that CO2 emits the same power as it absorbs and that there is no net energy transfer between the vibrational modes of CO2 and the translational modes of N2 and O2 . If you double the CO2 concentration or make the temperature vary , the observations stay identical showing that the conclusions we made are independent of temperatures and CO2 concentrations . The main point is that every time you hear or read that “CO2 heats the atmosphere” , that “energy is trapped by CO2” , that “energy is stored by green house gases” and similar statements , you may be sure that this source is not to be trusted for information about radiation questions . The statement we proved cannot be interpreted as “CO2 has no impact on the dynamics of the Earth-atmosphere system” . What we have proven is that the CO2 cannot heat the atmosphere in the bulk but the whole system cannot be reduced to the bulk of the atmosphere . Indeed there are 2 interfaces – the void on one side and the surface of the Earth on the other side . Neither the former nor the latter is in LTE and the arguments we used are not valid . The dynamics of the system are governed by the lapse rate which is “anchored” to the ground and whose variations are dependent not only on convection , latent heat changes and conduction but also radiative transfer . The concentrations of CO2 (and H2O) play a role in this dynamics but it is not the purpose of this post to examine these much more complex and not well understood aspects . You will sometimes read or hear that “the CO2 has not the time to emit IR because the relaxation time is much longer than the mean time between collisions .” We know now that this conclusion is clearly wrong but looks like common sense if one accepts the premises which are true . Where is the problem ? Well as the collisions are dominating , the CO2 will indeed often relax by a collision process . But with the same token it will also often excite by a collision process . And both processes will happen with an equal rate in LTE as we have seen . As for the emission , we are talking typically about 10ⁿ molecules with n of the order of 20 . Even if the average emission time is longer than the time between collisions , there is still a huge number of excited molecules who had not the opportunity to relax collisionally and who will emit . Not surprisingly this is also what experience shows . GRAND ISLE, La. — An offshore oil rig exploded in the Gulf of Mexico on Thursday, west of the site of the April blast that caused the massive oil spill. A commercial helicopter company reported the blast around 9:30 a.m. CDT Thursday, Coast Guard Petty Officer Casey Ranel said. Seven helicopters, two airplanes and four boats were en route to the site, about 80 miles south of Vermilion Bay along the central Louisiana coast. The Coast Guard said initial reports indicated all 13 crew members from the rig were in the water. One was injured, but there were no deaths. The platform owned by Mariner Energy is in about 2,500 feet of water, the Coast Guard said, and was not currently producing. About 206 million gallons of oil from an undersea well spilled into the Gulf after BP’s Deepwater Horizon rig exploded April 20, killing 11 workers. NEW ORLEANS, La. – The Coast Guard is backing off its earlier report that an oil sheen about a mile long was spreading following a platform explosion in the Gulf of Mexico. Coast Guard Cmdr. Cheri Ben-Iesau said Thursday afternoon that crews was unable to confirm the oil sheen. The Coast Guard says platform owner Mariner Energy reported a sheen about a mile long and 100 feet wide. But the company has said in a statement that an initial flyover didn’t find an oil spill. Ben-lesau says the fire on the platform has been put out. 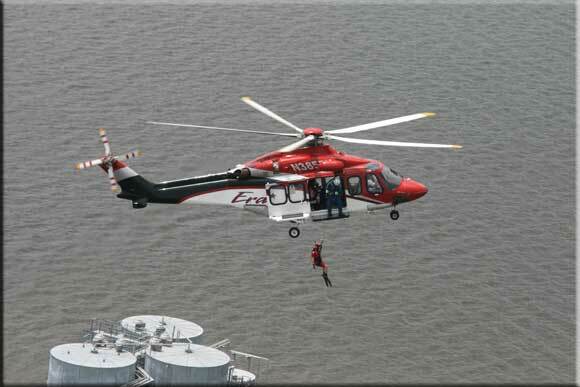 All 13 crew members were rescued from the water.